After a brief period of active combat in 2002, the conflict in Côte d’Ivoire settled into a pattern of neither war nor peace until the 2010 elections led to a new phase of direct conflict. During these taut years, short bursts of intense violence alternated with long periods of standoff. When things were peaceful, the Ivorian political elite and the press produced inflammatory rhetoric while soldiers and militias used the state of emergency as an excuse to shake down civilians at roadblocks. What kept this perpetually tense, dismal, and destructive situation simmering? In this groundbreaking book, Mike McGovern suggests the answer lies in understanding war as a process, not a series of events, and that rather than focusing on the role of political institutions, we should be paying attention to the flawed and unpredictable people within them. McGovern argues that only deep knowledge of a region—its history, languages, literature, and popular culture—can yield meaningful insights into political decision making. Putting this theory into action, he examines an array of issues from the micro to the macro, including land tenure disputes, youth boredom, organized crime, and the international cocoa trade. 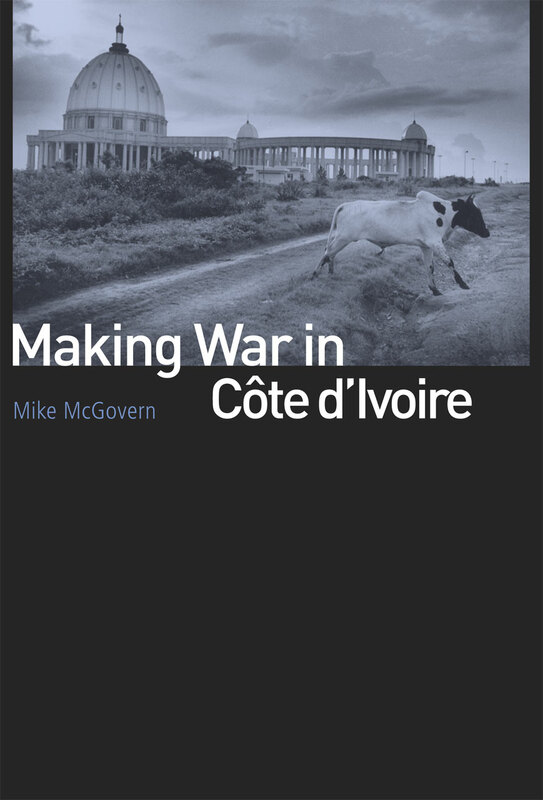 Drawn from McGovern’s academic research and experience working for a conflict resolution think tank and the political access that position gave him, Making War in Côte D’Ivoire will be the definitive work on the Ivorian conflict and an innovative example of how anthropology can address the complexities of politics.